Ecuador's Ex-President Correa Decries Treatment Of Julian Assange As "Torture"
FORMER ECUADORIAN PRESIDENT Rafael Correa, in an exclusive interview with The Intercept on Wednesday morning, denounced his country’s current government for blocking Julian Assange from receiving visitors in its embassy in London as a form of “torture” and a violation of Ecuador’s duties to protect Assange’s safety and well-being. The ex-president said he believed it could be appropriate to limit Assange’s communications if he were acting “irresponsibly” by interfering in another country’s politics. During the 2016 U.S. election, Correa said, his own government told Assange that it thought his attacks on Hillary Clinton were becoming excessive and briefly suspended his internet connection to underline its concerns. 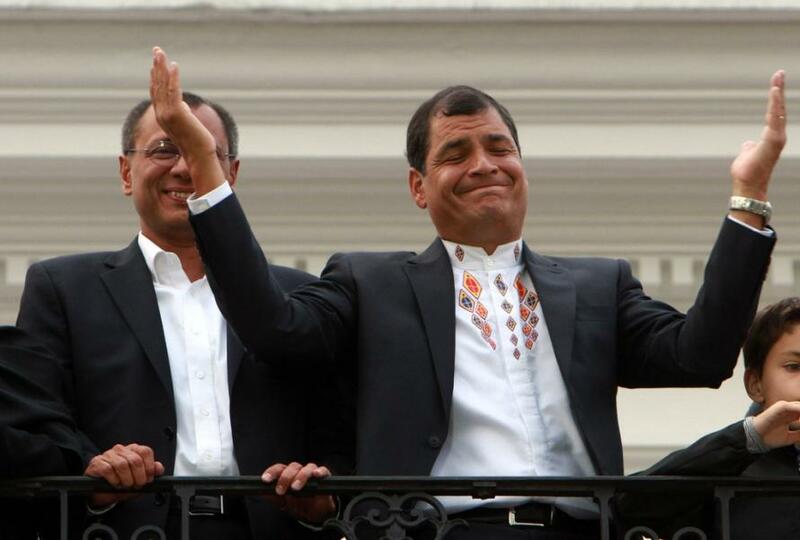 “But that was just temporary,” said Correa. “We never intended to take away his internet for an extended period of time. That is going way too far.” Correa’s Foreign Affairs Minister Guillaume Long similarly said in an interview with The Guardian earlier this morning that he, too, believed that the denial of visitors to Assange and the blocking of his internet access for this long — believed to be due to Assange’s frequent tweeting over the Catalan independence movement in Spain — was unjust. As for reports that Ecuador is negotiating with the U.K. government to turn over Assange, Correa said that he had no knowledge of those discussions, but said it would be “unthinkable” for Ecuador to do so without first obtaining enforceable protections for Assange’s rights, including not having the U.K. government use the bail violations as a pretext to hand over Assange to the U.S.
Correa continues to believe that asylum for Assange is not only legally valid, but also obligatory. 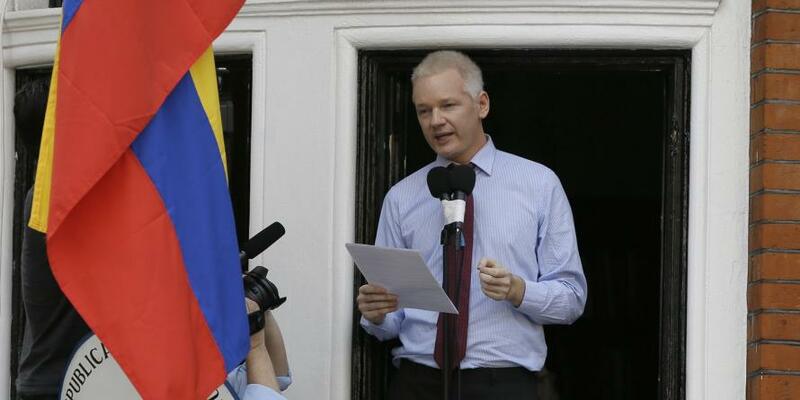 “We don’t agree with everything Assange has done or what he says,” Correa said. “And we never wanted to impede the Swedish investigation. We said all along that he would go to Sweden immediately in exchange for a promise not to extradite him to the U.S., but they would never give that. And we knew they could have questioned him in our embassy, but they refused for years to do so.” The fault for the investigation not proceeding lies, he insists, with the Swedish and British governments.